George is a psychiatrist and physician. 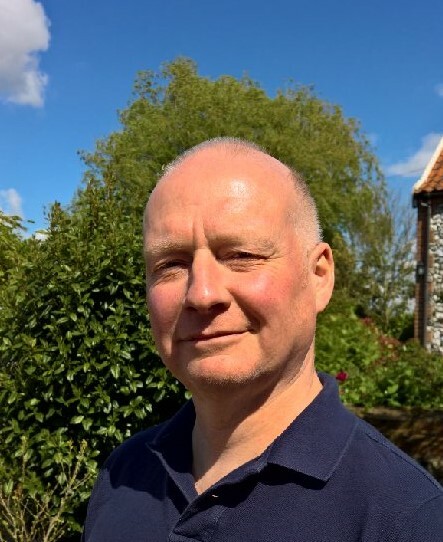 He has many years experience of working with deaf patients and their families; from the community and all levels of secure care, including high secure. He is currently a public governor at Nottinghamshire Healthcare NHS Trust. Many years ago, George learned the rudiments of British Sign Language (BSL), however the opportunities to further his mastery of this language have just not been available. George understands how many years it takes to become fluent in BSL and how a lack of fluency can hinder hearing parent’s communication with their deaf children. As such, he finds Cued Speech’s intuitive approach very appealing! He is also very interested in the robust research base supporting Cued Speech, citing its ability to improve social inclusion and literacy. Since reducing his clinical commitments, George has had more time to pursue professional interests such as Safeguarding and Governance. In his spare time, he enjoys being able to spend more time with his family and local voluntary groups. He enjoys climbing and other outdoor pursuits with his grandson, tending to his ramshackle garden, DIY and cooking.